Pixelramia is a coming soon iPhone and iPad app created by mobile app development innovators Infinential Games. 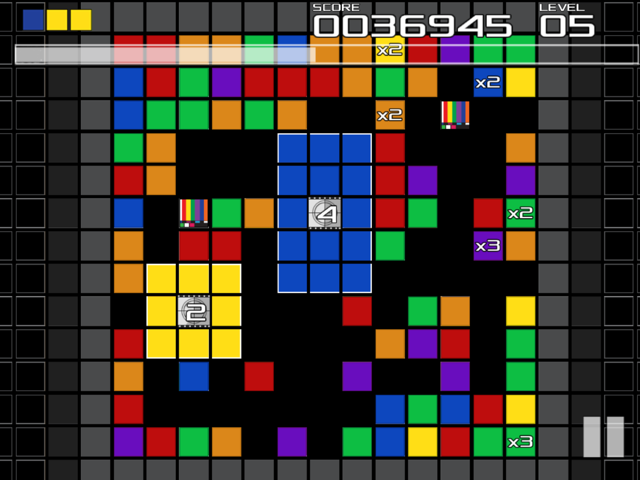 This fast-paced puzzle game allows you to assemble pixels into tiles as quickly as you can. The larger blocks you assemble and the more combos you complete, the more points you earn. This arcade-style game features progressively higher and faster levels. For gamers who are looking for an additional challenge, Pixelramia features a time attack mode where users have to score as many points within the time limit as possible. Unlike other new iPhone apps, Pixelramia combines traditional gaming elements with modernism for a unique gameplay experience. The vibrant colors and user-friendly graphics are guaranteed to make this app extremely enjoyable.